This month, we’re taking a look at community impact and what your donation money to Komen Charlotte is doing in our 13-county service area. Today, check out what your donations are doing locally through the Mecklenburg County Health Department. 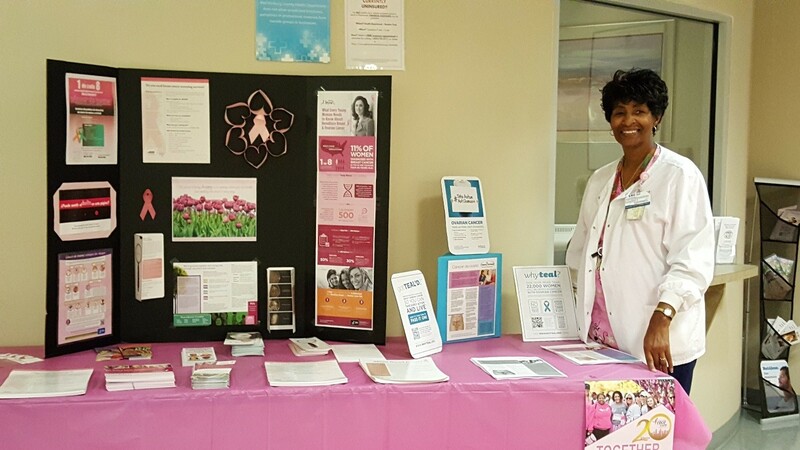 Mecklenburg County Health Department has been a Komen Charlotte grant recipient since 1997. Through Komen Charlotte’s support, we have been able to provide services for women who have had an abnormal screening and are in need of further testing or screening, such as diagnostic mammograms, ultrasounds, and biopsies. Providing these services would have been impossible without Komen Charlotte. Our Nurse Navigator received a phone call from one of our community partners asking if the health department could assist an unemployed, uninsured patient in her 50’s who has had a breast mass for the past two years. The patient had no primary care physician and was in desperate need of a diagnostic mammogram and ultrasound. Our Nurse Navigator called the patient, reviewed the program with her and set her up for a Clinical Breast Exam appointment at the health department the next day. During her assessment, she informed the provider of her family history – her mother had bilateral mastectomies and passed away in her late 30s from metastatic breast cancer. In addition, her father died in his late 40s from gastrointestinal cancer. Her diagnostic mammogram and ultrasound were scheduled in two days and her breast biopsy was scheduled 48 hours after that. Her breast biopsy result was positive for invasive breast cancer. The patient stated, “if I had insurance years ago, I would have gone to the doctor for that lump when it first appeared; but I am so thankful for this program and I believe that the health department saved my life. Without the financial support of Komen Charlotte, the Health Department would not be able to provide these services to women and men in our community who need access to breast health care. Thank you for making these programs possible!